Ponds are very common obstacles on golf courses, and many golf balls have been lost to water hazards on golf courses around the world. Despite the golfer’s frustrations associated with ponds, they are beautiful features on any course and some of our favorite projects. 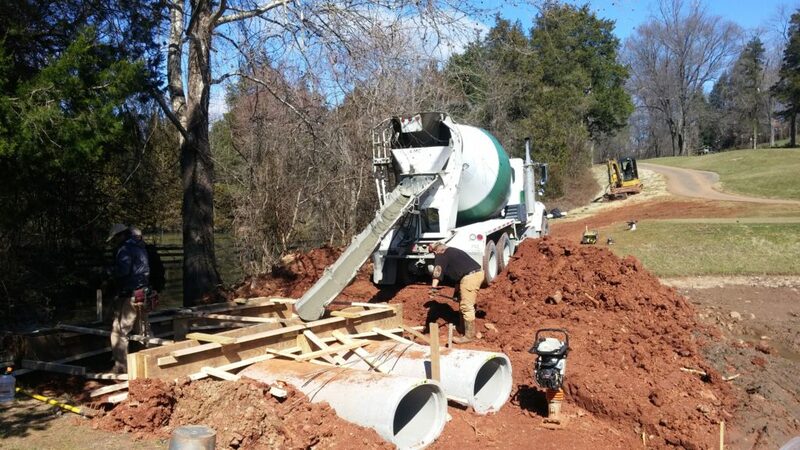 We enjoy working on Charlottesville golf course pond repairs because they combine so many of our services into single projects! 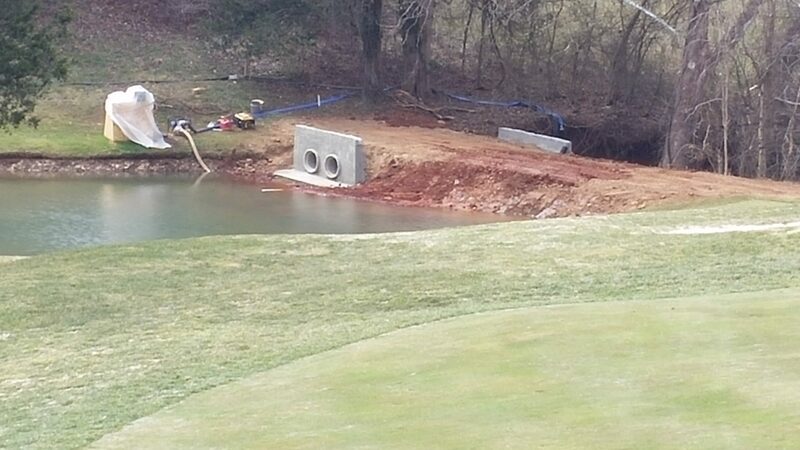 The golf course pond repair featured here began a few months ago at Farmington Country Club in Charlottesville, VA. We were contracted to replace pipes in an existing dam. The first stage of the project required skillful earthwork, grading, and pipe laying. 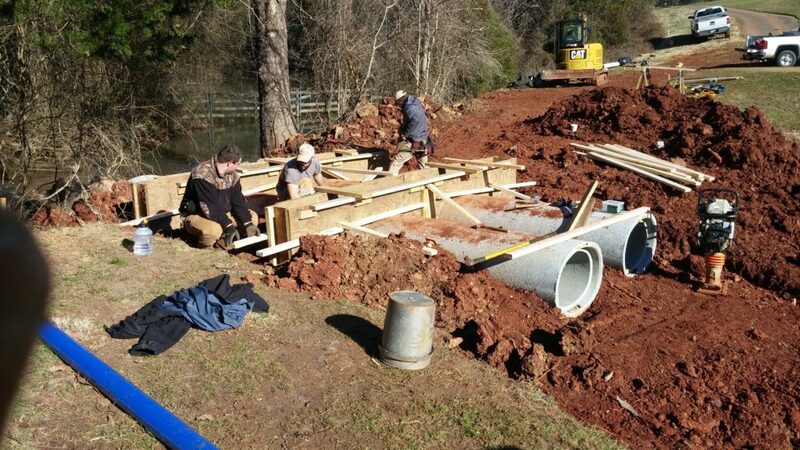 On this particular pond repair, we wanted to prevent water from running next to the pipes. This problem is common on pipes in dams and ponds, and can very seriously compromise a dam or completely destroy it altogether. To avoid this problem, we installed anti-seep collars on the pipes. We also poured the walls on either side of the pipes, integrating our concrete expertise into this project as well. The anti-seep collars and the walls will increase stability to the dam and add to its integrity. This finished product should last a long time, claiming many more golf balls in the years to come. The preventative anti-seep collars added to the longevity of this dam. Our expertise in so many facets of this project also contributed to the solid execution and completion of this project. 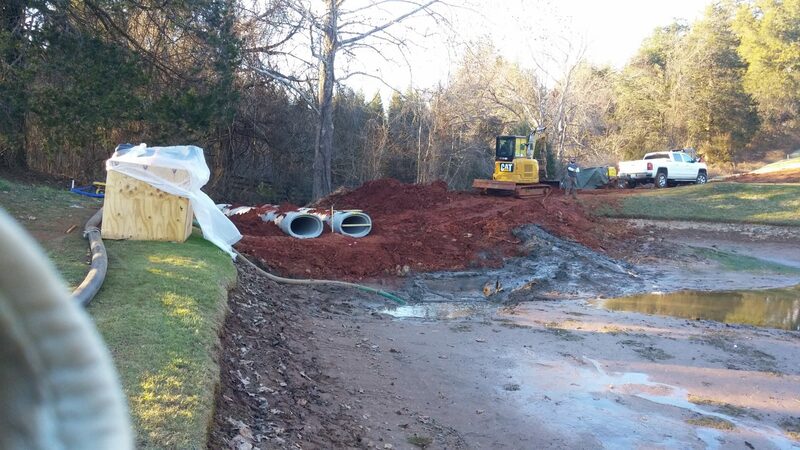 For Charlottesville golf course pond repairs, contact Reynolds Contracting at 434-293-6724.